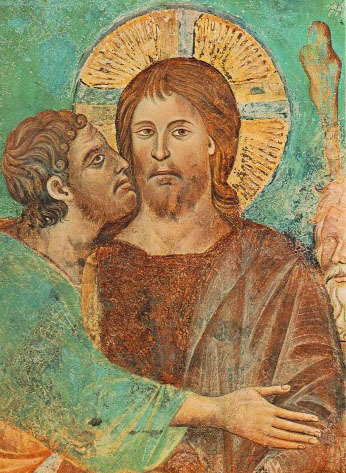 On Wednesday of Holy Week Judas agreed to betray Christ to the chief priests. The Gospel writers are stark in their portrayal of him. They do not psychologize Judas, suggesting that there were mitigating factors in his decision to hand Jesus over. They do not portray him as a tragic figure. Their opinion of Judas is revealed in the title they assign to him. He is Judas, the betrayer. Indeed, the harshest assessment of all is offered by the one was betrayed. Jesus declares, “The Son of Man will go just as it is written about him. But woe to that man who betrays the Son of Man! It would be better for him if he had not been born” (Matt. 26:24). We, on the other hand, are more sympathetic. We wonder whether he was a pawn. Was he duped by Satan? The unfortunate linchpin of some cold sovereignty that needed a human hand to set events in motion? If we are not moved to pity by his remorse, we are least made uncomfortable. There is mercy for us. Why is there no mercy for Judas? The writers of Scripture do not share our anxiety. They feel no pity. Judas saw what the others saw. He heard what the others heard. His hands, too, handled the Word of life. But Judas reckoned it a common thing, something to be sold for silver. Judas is the Gospels’ Esau, wholly profane. Judas is not Everyman. But there is something in his betrayal that betrays us as well. We read his story and find ourselves asking with the rest of the disciples, “Surely not I Lord?” But we are not convinced. We are afraid that we too have our price.